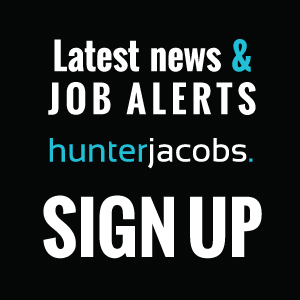 Hunter Jacobs is a boutique executive search and sales recruitment firm based in Melbourne, Australia. We specialise in building senior sales and management teams for small to large organisations across the Asia Pacific region including Melbourne, Canberra, Sydney, Brisbane, Perth and Singapore. We have a particular strength within the technology, professional services and business services sectors. Our consultants have an average of 12 years experience. Our network of candidates spans Australia, Asia, UK and Europe. Our clients range from enterprise global organisations to creative start-ups. We aim to work with innovative and forward thinking organisations that are looking for only the best talent in the market place. 1 Whether you’re an employer in need of quality talent or a job seeker searching for your next big gig we do all the searching for you. Forget the headaches of wasting time travelling down the wrong path. If you’re at crossroads do yourself a valuable favour and say hello to Hunter Jacobs. We’re ready and waiting. Make Contact Now! 2Bad recruitment decisions can be very costly. As a Job Seeker, joining the wrong organisation in the wrong role at the wrong time in your career can be incredibly costly to you financially, personally and professionally. As an employer the story is the same too. You’ve no time to make mistakes when trying to build successful teams. Make the right move today. 3 Every client we work with has a dedicated Account Manager, who will be their end to end recruiter. One point of contact. We will only take clients on board if we feel we can dedicate a full search capability to their project. Meet our Principal Consultants. 4 Based now in Australia, our consultants bring to the table wide and varied recruitment experience from across the globe. Ours is a rich network of international contacts. You’ll be hard-pressed to find other Sales and Executive Recruitment Specialists in Australia with the same level of expertise and number of quality contacts. Make the right decision. Email Us Direct Now.